November | 2015 | Dis Is How We Do It! Happy Holidays! As we enter the season of giving, here’s a great way to share the gift of travel. 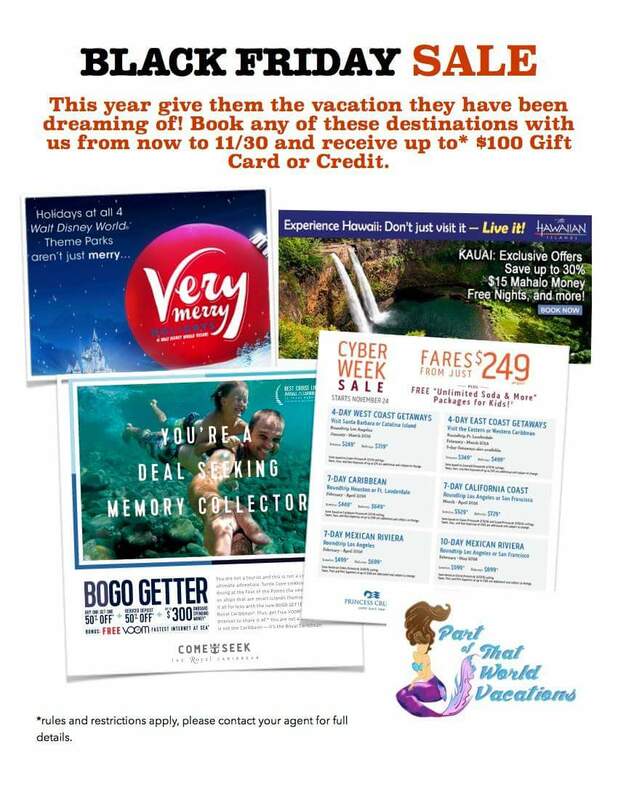 The agency that I work with, Part of That World Vacations is having a Black Friday Promotion to help you get your shopping started. Let me know what your thoughts are and I will try to work my magic for you. Posted in Uncategorized and tagged Cruise, Disney, Disney Cruise, Disney World, Disneyland, princess cruise, ship, Travel, Vacation. Bookmark the permalink. A new nighttime spectacular is coming to Disney’s Animal Kingdom. Expected to premier spring 2016 to the park as it continues it’s transition to a full day park . 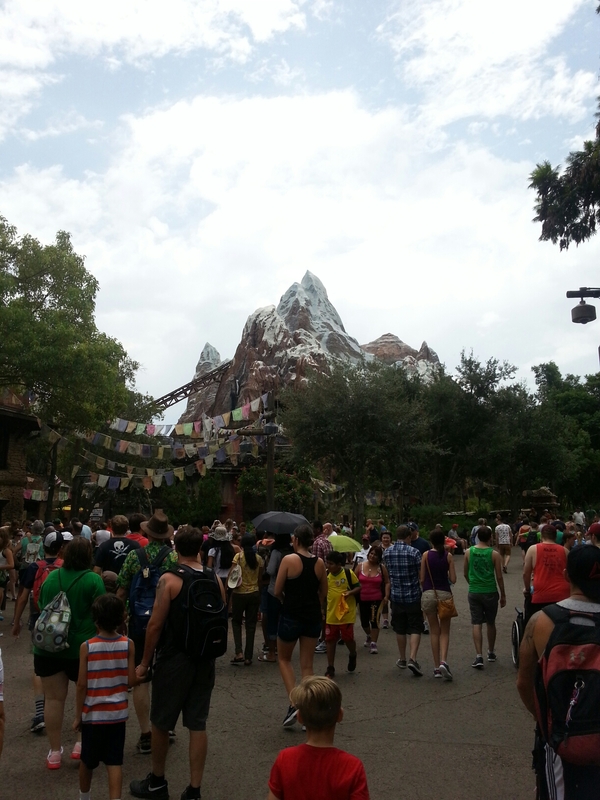 Posted in Uncategorized and tagged Animal Kingdom, Disney, Travel, Vacation. Bookmark the permalink. Have you been to see Cars Land for the Holidays? Here’s a look at what you are missing. Posted in Uncategorized and tagged cars, Disney, Disneyland, Travel, Vacation. Bookmark the permalink. Next Time, Check FunJet Too! Next time you want to book your favorite vacation, click on the link above to make sure that you have the best value. FunJet provides vacation options to many awesome destinations. Pick and choose from what is on your bucket list to see What Part Of That World you wish to visit. 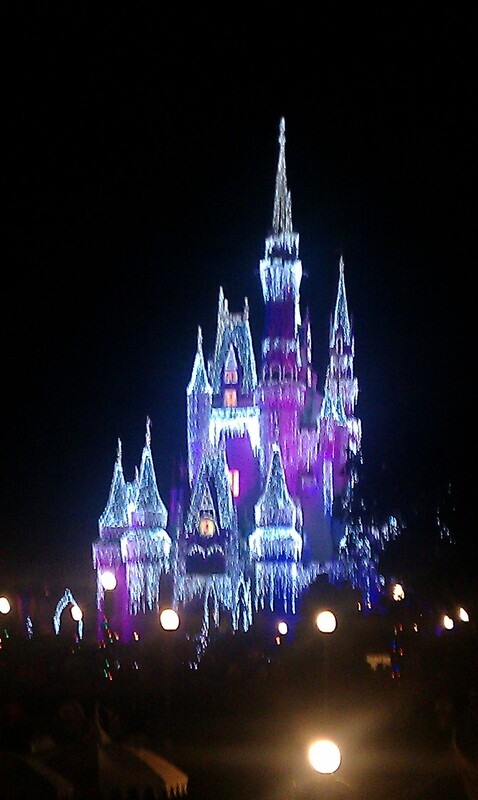 Think that you have the best deal on your Disney Vacation? Check with FunJet to make sure. Posted in Uncategorized and tagged Agent, Animal Kingdom, Anna, Aulani, Be Our Guest, Belle's Castle, Big Thunder, Carnival Cruise Lines, Cruise, Disney, Disney Cruise, Disney Travel, Disney World, Disneyland, downtown Disney, Epcot, Europe, European, Fantasyland, Fast Pass, FastPass+, Florida, flower and garden, Fort Wilderness, Frontierland, Frozen, Travel, Vacation. Bookmark the permalink. Do you get the best value? When you plan your vacation, do you get the best value? How do you know for sure? One of the benefits of using a travel planner is that you know that he or she has the ability and opportunity to easily research multiple offers and evaluate the one that works best for your personal situation. Having that information gives you a feeling of comfort that you have the best value for you. 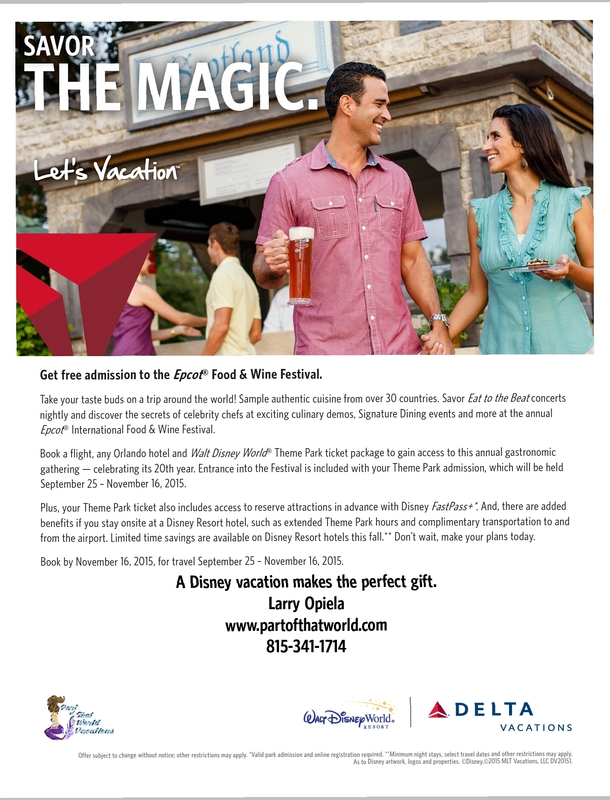 Posted in Uncategorized and tagged Agent, Disney, Disney World, Disneyland, Travel, Vacation, value. Bookmark the permalink.